​Roy and Sarah Davis are great. All my kids train at DMAA. We’ve been part of the Davis Martial Arts Jiujitsu family for 2 1/2 years. The kickboxing class has helped me a lot. It’s great to be able to train while the kids are in a safe place and in my view at all times. They use mommy’s kickboxing time to do homework (but mostly play with their BJJ friends). I decided to Join DMAA in August of 2017. At 35, I had no prior Martial Arts experience. I did some research and I decided Jiu Jitsu might be one of the most practical forms of martial arts out there and it may just be for me. I was captivated after the first class. Not only because of how easy I took to the technique, but because of the instructors themselves. All of them strive to make you feel comfortable. The Dojo has always been welcoming and clean since day one. There has never been a class that I have walked away from where I didn't learn something. We are a family at DMAA. We work together and always push each other to be our best. There's a lot of schools and instructors you can learn BJJ from. It is not hard to find a school. However, none of those schools will compare to DMAA. I want to be the best so I train with the best. I started Jiujitsu with my uncle Charles in California. He took me to the Gracie Academy and I loved it. I then found Alvis Solis and started training with him off and on. At that time I had a bad drug problem and I ended up in some trouble. It took me away from training for awhile. After that was over I just sat around and got fat. I am 5'4" and was weighing 223lbs. You know short people look bigger anyways. I decided to try it again and went to see Alvis and he sent me to Roy Davis at Davis Martial Arts. I came in for awhile and watched a lot of classes. I signed up in August and now train as much as I can and as hard as I can. I have lost 40 lbs in 4 months and weigh 183lbs doing Jiujitsu. I love it. There is great people here and I would recommend it to everyone. if you want to lose weight a feel great come out and try it. I know you're not supposed to compare yourself with anyone else....But I consider myself the rookiest of the rookies. This is the longest I have kept up with keeping my weight off and with a workout routine at that. Even at my age I'm finding it the more I show up for Jiujitsu the easier and better I'm starting to feel. I am down another size I went from a 14 to a 10. And not finished yet. I couldn't do it by myself I have tried. I am lucky I found Davis Martial Arts Academy. The Coach his wife,and his staff. If you're ready to make a change that's the place to go.If I can do it so can you. My jiujitsu journey started mid October of 2012. I was over 300 pounds, never ate healthy and smoked . I was ready for a change in my life. Im not the guy that used to be an athlete in high school and gained a few extra pounds. I am an ordinary person who let himself get extremely overweight and unhealthy. I joined DMAA (formerly SMAA) in February of 2013. Since then I have lost over 85 pounds and it has had a drastic effect on my outlook on life. 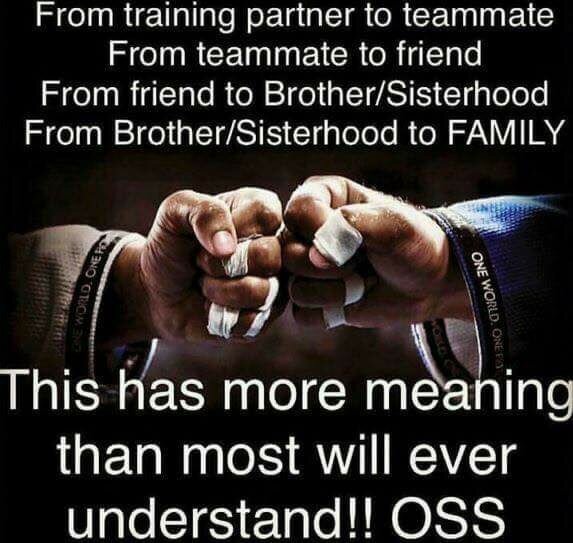 Jiujitsu is more than just a physical sport. To practice jiujitsu you must be humble and keep an open mind or you will eventually lose focus. Lucky for me, Davis Martial Arts Academy offers the perfect balance of tough competition while keeping a very fun and open atmosphere. Over the past 2 1/2 years I’ve dedicated myself to jiujitsu. I’m in the best shape of my life. I’ve met and become friends with a great group of guys/gals who” leave their egos at the door” and readily share techniques, help out (not tap out) the lower belts and want everyone to improve—All under Roy’s well-trained and watchful eye. Roy breaks every movement down, emphasizing the all-important details and correcting any mistakes that he has the uncanny ability to spot from across the mat…Which shows me that he really cares about you improving. I am currently a blue belt under DMAA and am still in my early years of my journey. Jiujitsu to me is a way of life on and off the mat and is something I plan on doing for the rest of my life. In the beginning I was very hesitant to “roll” with people, it just seemed awkward, and I was more interested in KICKBOXING. My husband kept pestering me to try it, so I finally gave in. I was hooked after the first class, and I wasn't the only one; my entire family trains with Davis Martial Arts Academy and we all love it. The atmosphere is great and we’re pushed to be better every day. Now a year into our journey we feel healthier, we've lost weight, made some great new friends and walk out of class everyday stress free. I am so happy to be a part of the Davis Martial Arts Team/Family and look forward to continuing my journey at Davis Martial Arts Academy.